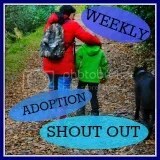 Sadly my own experience is similar to yours.I set up a number of groups after a number of adoptees were deleted from an Australian specific group run by Origins mothers who became abusive when adoptees challenged their stereotypical views of adoptees and adoption.Those new groups had a use-by due to dissent over what adoption is to adoptees. Some of us were accused of having had ‘good’ adoptions whatever they are!! In attempts to keep the groups user friendly as Admin some hard decisions had to be made about members who were abusive.As a result I am it seems still mentioned disparigingly from time to time! I shut down some groups because of the continual invasion of threads by one or two members who wanted only to tell their story over and over and take an opportunity to be abusive to others.Eventually one group settled and membership closed – a good option. You mentioned Adoption Truth and Transparency Worldwide, a group I find unsafe as it has members of Origins who can be abusive to adoptees.Since their views won’t change I have found the only way to have productive discussions is to avoid those people in the places they hang out.I have found that mixed groups don’t work, maybe one day mothers and adoptees can have truly productive discussions.With adoptees, we are all at different stages in our journey, a significant factor in whether a group works or not.Maybe the next stage is for adoptees to form groups with people at the same stage for a while.There is often not enough empathy or tolerance to make things work well. Maybe one day…. I’ve found the mixed groups to be useful for publicly scrutinising the true depths of feeling that gets kicked up by adoption, and for finding links I might not otherwise find. It’s why I’m in the UK forced adoptionesque group too. However, I also find myself only able to continually converse with a select few (which is, naturally, growing over time) non-adoptees on a serious basis. Sadly many still result in me reaching for the clue by fours, but then again, that happens in the adoptees groups too (I am adopted being the ultimate example, but have experienced same happenings across many, adoptee voices, etc.). At least with running my own, those who know me know that they can come in and say pretty wtf they like as I just dish abuse back at anyone who issues it (and welcome it back on myself when I start spouting crap ;)), no matter whether they’re bmom, adoptee, whatever. In fact, with the exception of true spammers, I’ve only ever blocked two people, and that’s ’cause they’re past even my insanity levels. I do thoroughly miss having the sort of connections I had over on AAAfC though, but it’s like I was talking about with Daniel t’other week, ’tis the nature of these things. ‘Evolution’, for want of a better word. I think perhaps these multitudinous groups are serving the purpose you’re describing in your last bit, without many people really realising. I also think that like IRL living, people’re splitting off more from groups to live on their own, such as in blogs. This is why I like the idea of Transracial Eyes, Lost Daughters ‘n’ LGA, and what I keep hoping to turn UK Adoptees into (but failing miserably ’cause no-one wants to play with me ever *pout* ;)), because it gives somewhere where several can aim their voices, which stops it just being a swamp of everyone. I think we find our people eventually, the ones we feel comfortable with, who stretch us, make us think and give us support.Perhaps that is a good result at this stage.We keep trying things to see what works and it feels quite remarkable that we’re worldwide and can find a common voice, agreement and common experience. perhaps the “angry adoptees” wouldn’t be booted off sites if they would stop calling people names, telling them they are “rainbow farters” and “Kool-Aid drinkers” telling people they are delusional (or worse) if they say they are happy in their adoption, etc. etc. etc. 1. It wasn’t a whine, it was a look at adoptee-related places that’re available, since the theme of #WASO32 was “safe places”. 2. I’ve said it before and I’ll say it again, every ‘fight’ has its extremists. I’m one of the adoptee ones. Deal with it. I do.